Japanese newspapers have lived alongside Japan’s modern history. Many mainstream papers were founded in the second half of the 19th century and some became aware of their mission to lead public opinion as guardians of democracy. However, this glorious epoch was short-lived. With the rise of militarism, newspapers gradually degenerated into a propaganda machine for the military authorities and compelled millions of young people into the bloody battlefields. Since the end of the World War II, Japanese newspapers have pledged to restart from scratch. 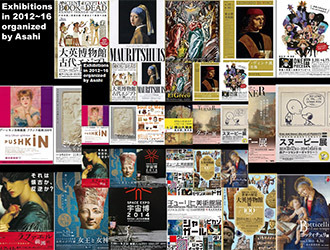 Many papers have competed to bring numerous masterpieces of arts from abroad and have held various grand exhibitions in Japan which encouraged war-torn, heartbroken Japanese people and enhanced the awareness of the precious beauty of the arts once again. For example, the Asahi Newspaper has held seven British Museum exhibitions since early 1990s in Japan which attracted as many as 2.47 million visitors in total. Looking back at almost forty years with the Asahi Newspaper, Mr Kimura will talk about the ups and downs and new challenges of the Japanese newspapers. Kimura Tadakazu is an experienced journalist and former President and CEO of the leading Japanese newspaper The Asahi Shimbun. He joined the company in 1976 after graduating from Waseda University in Tokyo. Since then, he has spent more than thirty years primarily on covering Japanese domestic politics and international affairs. In 1994 he was dispatched to Washington D.C. as a political correspondent and in 2005 sent to London as the European writer and Chief of European General Bureau of the Asahi. Until recently, he has served as Executive Managing Editor, Board member in charge of cultural undertaking, and President and CEO of the company. Kimura received the Award of Tokyo Art Director Club (ADB) in 2009. He was also decorated Honorary Commander of the British Empire (CBE) for his longtime contribution to enhance the UK-Japan relationships in 2014.